WHY DRUPAL IS A LEADING CMS IN 2018? The digital landscape is changing, and with it are increasing demands on content management systems (CMSes) and organizations to keep pace with consumer needs. Users are demanding more personalized experiences, greater connectivity between devices, and more interactive elements in their web experiences. Organizations want websites that grow with your digital technology and business needs and help you achieve your goals. With over one million users worldwide, Drupal is one of the top website solutions because of its robust and flexible infrastructure, innovative design, and open source modules. Drupal also gives organizations access to countless free tools and information to help you get the right features, functionality, and design. Drupal 8, the most current release, will turn 3 years old on May 19, 2018, and already it has moved in the direction of being a leading platform to meet the demand for interactivity, personalization and scalable tools. Its powerful built-in modules make it easy to use right out of the box. As well, Drupal users gain access to a seemingly endless offering of dynamic, flexible, and ever-evolving modules that pay dividends as organizations look to integrate new tools for analytics, optimization, e-commerce, marketing, and automation. Drupal differs from much of the competition in that it makes it easy for organizations and marketers to integrate third-party tools. This is because the Drupal CMS has made a point of being a flexible platform that performs more like a web experience management system – giving you the ability to integrate your favorite customer relationship management (CRM)software, such as Salesforce, or inbound marketing platforms into your website, rather than making you use proprietary automation and analytics tools. This is why Drupal is a clear choice for organizations that want to seamlessly integrate your preferred third-party technology with your website. Websites are both your storefront and salesperson, and while clicks might be good, visitors to your website who convert into customers or donors are even better. Drupal 8 has built-in user experience (UX) and user interface (UI) tools and modules that support the needs of the modern customer for personalized, interactive, and targeted experiences when they visit your website. Drupal 8’s advanced system also makes it easier for your development team to build and maintain your website, sparing your team countless hours of frustration and, possibly, expletives. Briefly, while UX implies all of the elements of a website that a user interacts with and how pleasing they find that experience, UI is how someone interacts with a website, such as through web pages, menus, or buttons. Personalization – give your users the experience that’s right for them using one of several content personalization modules for Drupal, including Personalization Module, Browsing History Recommender, Commerce Recommender, and Context-Menu Block. Enhanced caching capabilities – Drupal leads in terms of page loading efficiency and speed thanks to BigPipe and other caching optimization modules. Responsive design – whether a visitor to your website is using a smartphone, tablet or desktop, Drupal 8’s out-of-the-box responsive web design scales and modifies to fit their screens. Social media modules – easily connect online customers to your Twitter and Facebook social media feeds from your website with one of Drupal’s several social media integrations modules. Contextual blocks – drag and drop blocks to rearrange the appearance of text and images on your website. You can also repeat the same block in multiple regions throughout your page, giving you greater design flexibility. Comment fields – Drupal 8 allows you to display comments on different parts of your page, and you can have more than one type of comment, such as private notes to users and adding comments to comments. Multilingual functionality – these features are built right into Drupal 8 core and give you the power to translate your site or have the language displayed on your website shift depending on the user’s geographic location. WYSIWYG editor – a much-appreciated feature that allows users to sneak a peek at how the text and images they’ve entered into the text editor will look before pushing the “publish” button. Quick Edit – type directly into a text editor in Drupal to cut down on the time required for adding and uploading content to your website. Enhancing your UX and UI is akin to cleaning shop so that you have a more presentable, inviting, and efficient store for your customers to visit and staff to work in. The nice thing about laying your storefront on a Drupal foundation is that you’re pretty much guaranteed to be working on solid ground. Drupal 8 gives organizations the tools they need to create tailored customer experiences. Your website should meet the needs of your visitors, guiding them towards that all-important purchasing decision from the moment your webpage loads. And, as Forrester notes, in today’s market, that means using customer-centric interactions that make each visitor to your site feel like their experience has been tailored to meet their individual needs. It’s essential that your CMS support the growing demands on software and design, including acting as a consistent guide across the customer journey. Access to robust APIs is one essential ingredient all websites need if they’re going to win the top prize at an online marketing fair. The amazing thing about Drupal is that its international team of expert volunteers continually updates and improves upon years of insight and development already built into the Drupal machine. The RESTful Web Services API in Drupal 8 supports a decoupled Drupal site; the communication between native mobile iOS/Android apps and a Drupal site; and, integration with web services. Render API enhances the user experience through faster page rendering, and better-caching protocols. Drupal 8’s Translation API can adjust language on your website depending on where your viewer lives. Added to this, Drupal’s flexible interface makes it easy to mold it to fit almost any systems architecture with tools and features that improve the experience of customers and programmers. As static websites fade away and are replaced by dynamic content across many different digital touch-points, organizations are looking for a CMS that stays in step with new sales and customer engagement technologies. E-commerce is another area in which Drupal excels. Drupal has been seamlessly integrated into the commerce platforms of companies like Tesla, IBM WebSphere Commerce, Magento, Puma, and Motorola to drive sales through better customer interactions. The Google Analytics module allows you to collect all-important customer data and make adjustments to optimize how well your Drupal site speaks to and engages your target market. According to a 2017 Forrester report, semantic structure plays a key role in the working lives of content authors and managers. Auto-tagging tools, such as Drupal’s Metatag module, allows you to add meta tags to your website automatically – an asset for search engine optimization (SEO). Drupal’s Metatags module also allows you to shape how your content appears on social media sites with such APIs as Twitter Cards for Twitter and Facebook’s Open Graph protocol, giving you the ability to share consistent messages across platforms. Another key asset for websites in 2018 is having a flexible and intuitive taxonomy system. Drupal’s built-in taxonomy system is designed to simplify how you organize your content, with the help of keywords. This intuitive content classification system has obvious benefits: it makes it easier to organize information on your website, including by theme, and to navigate to search terms and set viewing options. Drupal’s flexible taxonomy system is designed to support the growth of your organization, so you can continue to add more content and features to your website without bursting your CMS’s seams. WHAT IS NEW IN DRUPAL 8.5.6? If you’re not sure which company can be the best web hosting service provider for Drupal application, this is the correct page you’ve visited. Here we would like to recommend several web hosting companies who can be the best Drupal 8.5.6 Hosting in the market for you to check. How to choose the best and cheap Drupal 8.5.6 hosting? Choosing the best and cheap Drupal 8.5.6 hosting is not a simple task especially with low price offers. You need to take a large number of factors into consideration, including the Drupal 8.5.6 compatibility, usability, features, speed, reliability, price, company reputation, etc. Therefore, we have established this Drupal 8.5.6 review site, which is designed to help you find the best and cheap Drupal 8.5.6 hosting within minutes, based on our specialized editors’ Drupal 8.5.6 hosting experience and real customers’ feedback. Get high performance, best uptime and the most reliable Windows Server for your Drupal website with Drupal hosting. 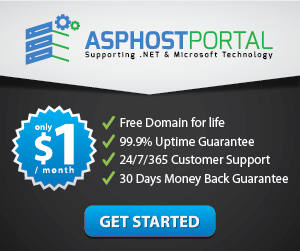 Drupal 8.5.6 hosting from ASPHostPortal.com provides a safe, reliable and performance-driven foundation for your Drupal website. Drupal is the perfect Content Management System for managing and developing your website with one of ASPHostPortal’s hosting plans. If you are looking for the right Windows ASP.NET hosting that support Drupal 8.5.6 hosting provider, they are the right choice for you. They have proactive monitoring down to seconds with reactive solutions in place to ensure the stability of the services they provide. All hosting servers are monitored 24/7/365. They use enterprise software to monitor their entire network infrastructure. Their best and cheap Drupal 8.5.6 hosting price starts from $3.81 per month.